Chris Vui captains from the blindside flank as Samoa take on Germany in the second leg of their World Cup qualifier in Heidelberg. Vui is joined in the back-row by Bristol Bears teammate, Jack Lam who continues at openside, while Tusi Pisi shifts from fly-half to inside centre, with Taula Eels’ Patrick Fa’apale starting at number ten. Ed Fidow scored three of Samoa’s 10 tries in a 66-15 first-leg play-off victory against the Germans, making them the heavy favourites. 1. Logovii Mulipola 2. Motu Matu’u 3. Paul Alo-Emile 4. Joe Tekori 5. Brandon Nansen 6. Chris Vui (c) 7. Jack Lam 8. Ofisa Treviranus 9. Melani Matavao 10. Patrick Fa’apale 11. Sinoti Sinoti 12. Tusi Pisi 13. Paul Perez 14. Ed Fidow 15. Ah See Tuala. Replacements: 16. Seilala Lam 17. Jordan Lay 18. Viliamu Afatia 19. Mat Luamanu 20. 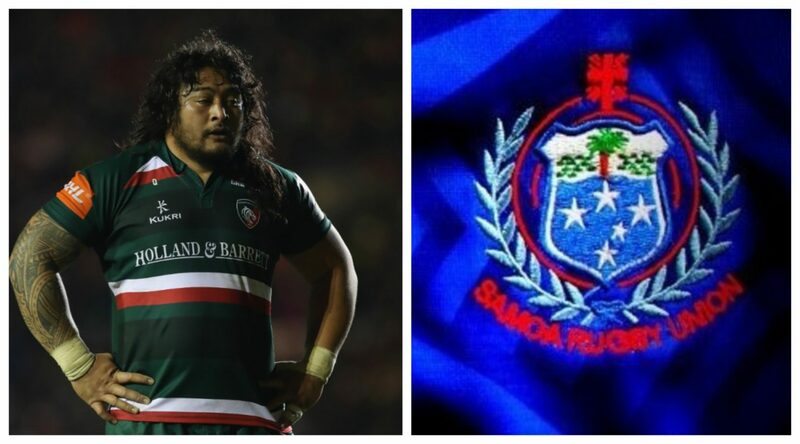 TJ Ioane 21. Ionatana Tino 22. Rodney Iona 23. Alofa Alofa.